In my Easter blog post, I looked at the hypocrisy of Easter from a different perspective, and you may, or may not, be surprised to discover that Christmas poses similar issues in the worship of Christianity. Christmas, despite all its mainstream commercialism, is defined by the Oxford Dictionary as: ‘A religious holiday the annual Christian festival celebrating Christ’s birth, held on 25 December in the Western Church’. It is the time that Christians celebrate the birth of Jesus Christ, exchanging gifts in honour of the “greatest gift ever given”. 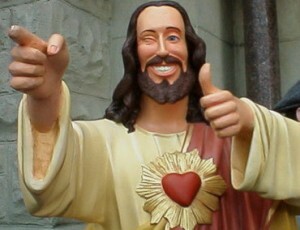 However, Jesus was neither born on 25 December, nor is Christmas a Christian festival. Christmas is yet another pagan festival that was hijacked by Christians. Yet, ironically, every year on December 25, approximately two billion Christians throughout the word do just that – ‘Reject the commandment of God’. Another little irony lies within the choice of date. As the Encyclopaedia Britannica states, the precise origin of assigning December 25 as the birth date of Jesus is unclear. The date is believed to have been selected in order to correspond with the Roman festival of Dies Natalis Solis Invicti, or “Birthday of the Unconquered Sun”, with the celebration deriving from pre-Christian festivals that were celebrated during the winter solstice by pagan populations, who later converted to Christianity. The Yule log from the pagan tradition, Yule, and gift giving from the Roman pagan festival, Saturnalia, were eventually incorporated into Christmas as it is known today. If we again turn to the bible, Luke 2:8 explains that when Christ was born, ‘in the same region there were shepherds out in the field, keeping watch over their flock by night.’ Note that the Shepherds were apparently ‘out in the field, keeping watch’, which would have been an unlikely occurrence in December, when Ezra 10:9-13 states that winter was the rainy season. Shepherds would not have been able to stay outside on cold fields at night. Indeed, in ‘A History of Israel, The Jerome Biblical Commentary’ by Addison G. Wright, Roland E. Murphy, Joseph A. Fitzmyer; it is revealed that the DePascha Computus, an anonymous document believed to have been written in North Africa around 243 CE, placed Jesus birth on March 28. Clement, a bishop of Alexandria (d. ca. 215 CE), thought Jesus was born on November 18. Based on historical records, Joseph Fitzmyer believes that Jesus birth occurred on September 11, 3 BCE. It would seem that Christ’s birth was nowhere near December 25. However, as University of Manitoba historian Gerry Bowler, author of The World Encyclopedia of Christmas explains, early Christians may have figured that because Christ was crucified on March 25, that was also when he was conceived—and therefore, his birthday would have been December 25. Yet, whilst the latter theory may be true, it is ironic that the Christmas and the modern Christian tradition of celebrating Easter, were both adopted from a pagan celebration, even though Deuteronomy 12:28-32 confirms that Christians should never mix Pagan traditions with God’s commands. Given that the Christians also hijacked the pagan Easter celebration, it would seem no coincidence that the Pagan mid-winter festival is the alleged birthdate of Jesus, together with a few other Pagan goodies, such as trees, singing, gifts, and debauchery, to make their takeover more palatable. Furthermore, not only did Christmas originate from a pagan festival, but one that incorporated the horrific practices of child sacrifice and cannibalism, as I will reveal. The pagan festival, Saturnalia, celebrated the fire god, Saturn, and thus, the God honoured at Christmas is not a Christian God, but a fire/sun God. Saturn was worshipped during this winter festival so that he (the “sun”) would return to warm the earth again so that spring planting of crops could occur. To understand the sun/fire god, it is important to realise that virtually every civilisation has one. Vulcan, the Egyptian God; Kronos, the Greek and Phoenician God (also known as Saturn); Tammuz, the Babylonian God, also known as Nimrod, resurrected in the person of his son; and Molech or Baal, as known to the Druids. However, these were all various names for Nimrod, who was considered the father of all the Babylonian Gods. Humans sacrificing their own children for slaughter was key to the worship of Saturn, in the belief that fire purified them from original sins. They would, thus, try to please the Fire/Sun God by sacrificing their own children. Indeed, the bible also states, “They built the high places of Baal in the Valley of the Son of Hinnom, to offer up their sons and daughters to Molech” (Jer. 32:35), where God is also claimed to have said “I did not command them, nor did it enter into my mind, that they should do this abomination”. This also confirms that celebrating a Sun/Fire God is not a part of Christianity. Nimrod, is mentioned in Genisis 10:9 when he tries to replace God. Ezekiel 8:13-14 records a picture of the women of Israel “weeping for Tammuz.” This Tammuz (the god of fire) was considered to be Nimrod and the etymology of the word itself is fascinating. Tam means “to make perfect” and muz “fire”. The meaning is clear in light of what we have already learned. Jer. 7:31 connects Tophet and Hinnom to child sacrifice. Tophet means “the drum”. 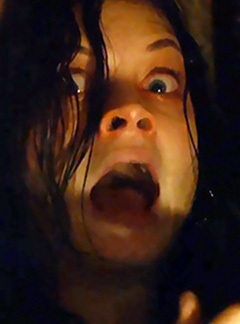 Drums were played to drown the screams of victims in the flames. Whilst nobody will claim to sacrifice their children to Molech today, the martyr Stephen was stoned to death, the New Testament, because he indicted his listeners for the worship of this evil idol (Acts 7:43). 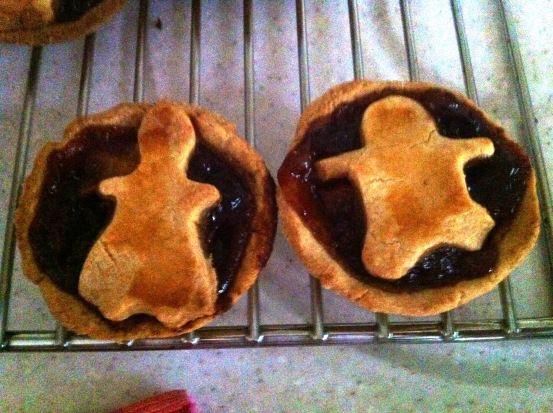 Anyone fancy a mince pie? 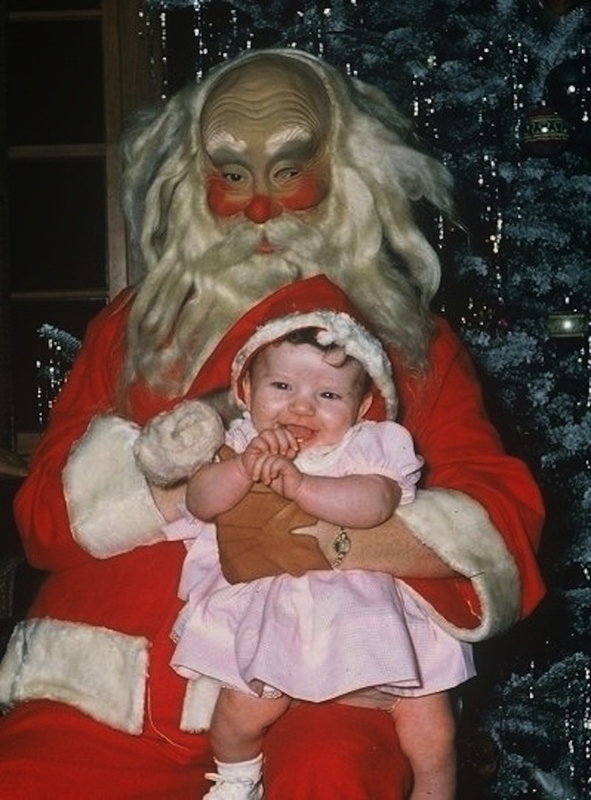 Even the imagery of Father Christmas, or Santa Claus, bears a striking resemblance to Saturn: An old man, with a long white beard, who surrounded by children. Ironically, the Encyclopedia of World History by William L Langer, states “Santa” was a common name for Nimrod throughout Asia Minor; the Fire God to whom infants were burned and eaten in human sacrificed by those who were once Christians. It is, perhaps, no coincidence that the name Santa Claus comes from “Saint Nicholas”, when Revelation 2:6 mentions the ‘works of the Nicolaitans’. Nicolaitane means “follower of Nicholas”. The Greek words, Nikos, translates as “conqueror, destroyer”, and Laos translates as, “people”. Thus, the Nicolaitanes are people who follow the destroyer, Nimrod! 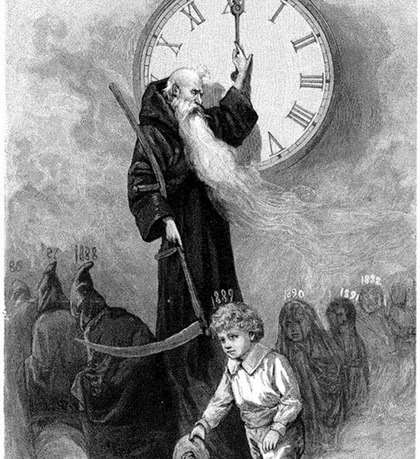 Father Time, (Saturn, as the god of time), is standing in front of a large clock, holding his scythe. The old years are passing away as bodies wrapped in burial shrouds, whilst the New Year is coming in as a young child. The subsequent ‘New Years’ are portrayed as children ready to be sacrificed, and were heavily veiled so that their parents would not recognise when their child was burned. Are you still so sure that Christmas an innocent Christian custom…? Most people today believe that the tradition of giving gifts at Christmas comes the Biblical story of the “three wise men” (although the Bible specifies no actual number) presenting gifts to Christ. Just like every other aspect of Christmas, the truth is that even this supposed Christian custom does not come from the Bible, and whilst people love to believe they are following the custom of the wise men giving to Christ, the ironic hypocrisy is that they are giving almost exclusively to each other. The Bibliotheca Sacra states, “The interchange of presents between friends is a like characteristic of Christmas and the Saturnalia, and must have been adopted by Christians from the pagans, as the admonition of Tertullian plainly shows” (Vol. 12, pp. 153-155). Yet, despite the description from Matthew 2:1-11, it is commonly believed that the gifts were birthday presents for “baby Jesus”. But, the wise did not stand in his presence and exchange gifts among themselves, or give them to others. The gifts were “presented unto Him”. Also, they arrived after Jesus’s “birthday”. This is another reason these could not have been “birthday presents”. This description of the Christmas tree is clear, and the bible states that God tells people to “learn not the way of the nations”, calling these customs “vain”, thus condemning the putting up of pagan (Christmas) trees with this plain Bible command. Christmas is incomplete to many unless it involves “kissing under the mistletoe”. This pagan custom was natural on a night that involved much revelry done in the spirit of drunken orgies. Just like today, this “kissing” usually occurred at the beginning of the Saturnalia/Christmas celebration, and has nothing to do with Christianity. Lev. 18:21 and 29 reveals how anyone in ancient Israel who merged false pagan customs with the worship of the true God, was put to death. Deuteronomy 12:32 also made clear that God did not want Christians to mix his ways with any other tradition: “Everything that I command you, you shall be careful to do. You shall not add to it or take from it”. These are the words printed in the Bible aimed to ‘warn’ those who believe they can mix the customs of paganism with a supposed ‘focus on Christ’. Notice God’s references to “every green tree”. There are at least ten similar verses throughout the Old Testament referring to “green trees” and their association with idolatry. Sound familiar? 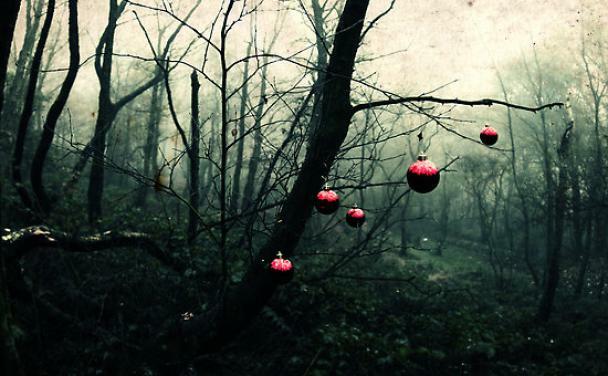 – Presents, singing in the streets, evergreen trees, decorations, offerings under the tree, merrymaking, feasting? Such Christmas traditions may sound wonderful, but they originally represented things that were once truly atrocious. On that note, I wish you all a very Merry Christmas! This entry was posted in Education and tagged Atheism, Christianity, Christmas. Despite being a Christian (the radically inclusive kind), I don’t give two lumps of coal what the real, bloody, awful origins of the holiday were. I’m also a Doctor Who fan. Time can be re-written! I enjoyed your selection of illustrations though. The info was all stuff I learned about and accepted decades ago. I choose to take the opportunity to be generous in spirit, and merry in company wherever I can find it, on a day most workers get off with pay, or on any other day. It’s the attitude they call “the Christmas spirit” that is more important than fact, or history. We can make things better than they used to be. We can make ourselves better than we used to be. You’re welcome to the eggnog – it’s over there on the table by the fire! Entertained and informed as always Katie!